70 percent of India’s power comes from coal. But a new study shows India will not be able to meet its Paris climate agreement commitments if it carries through with plans to build nearly 370 coal-fired power plants. Credit: Arnold Paul, cropped by Gralo, CC BY 3.0 via Wikimedia Commons. "India is facing a dilemma of its own making," said Steve Davis, associate professor of Earth system science at the University of California Irvine and coauthor of a new study published today in Earth's Future, a journal of the American Geophysical Union. "The country has vowed to curtail its use of fossil fuels in electricity generation, but it has also put itself on a path to building hundreds of coal-burning power plants to feed its growing industrial economy." According to Davis and his colleagues, India has pledged to the international community to reduce its emissions intensity—the amount of carbon dioxide released per unit of gross domestic product—by as much as 35 percent from 2005 levels by 2030, and to increase the percentage of renewable energy in its power grids. The construction of 65 gigawatts worth of coal-burning generation with an additional 178 gigawatts in the planning stages would make it nearly impossible for India to meet those climate promises, the researchers say. Further, by developing all of the planned coal-fired capacity, India would increase the share of fossil fuels in its energy budget by 123 percent. If the country also met their goal to produce at least 40 percent of their power from non-fossil sources in 2030, the total power being generated would greatly exceed its own projected future electricity demand, according to the new study. "In looking closely at all of India's active coal plant proposals, we found they are already incompatible with the country's international climate commitments and are simply unneeded," said Christine Shearer, a senior researcher with CoalSwarm, a research institute in San Francisco, California and lead author of the new study. "These plants therefore risk either locking out the country's renewable electricity goals or becoming stranded assets operating well below optimal rates and leading to financial losses." "India's Paris pledges might be met if they built these plants and only ran them 40 percent of the time, but that'd be a colossal waste of money, and once built there'd be huge incentives to run the plants more despite their contrary climate goals," Davis said. India relies heavily on coal; 70 percent of the country's power comes from plants burning the fuel. Because of its historically low cost and accessibility (India has large domestic coal reserves), it is seen by the country as an aid in its quest to become a manufacturing and economic power and a way to provide electricity to the roughly 300 million people in the country who don't have it. But the researchers stress there are significant downsides to the fossil fuel habit. 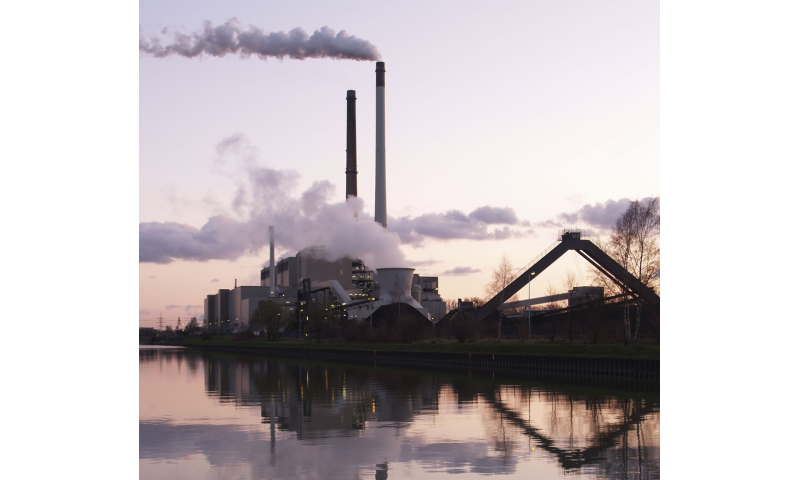 In addition to spewing harmful soot and other types of air pollution into the atmosphere, coal-burning power plants are the largest carbon dioxide source on the planet, making up 41 percent of all carbon dioxide emissions in 2015. Choices individual countries make with regard to their energy mix have a global impact, according to the study's authors. "India's proposed coal plants will almost single-handedly jeopardize the internationally agreed-upon climate target of avoiding 1.5 degrees Celsius of mean global warming," Davis said. The researchers are not convinced coal is the way to go for India, pointing to the example set by the only country in the world with a larger population, China. India's neighbor to the north started building too many coal plants at the height of its economic boom. Now it's having to suspend hundreds of unneeded plants that were under development, Shearer said. 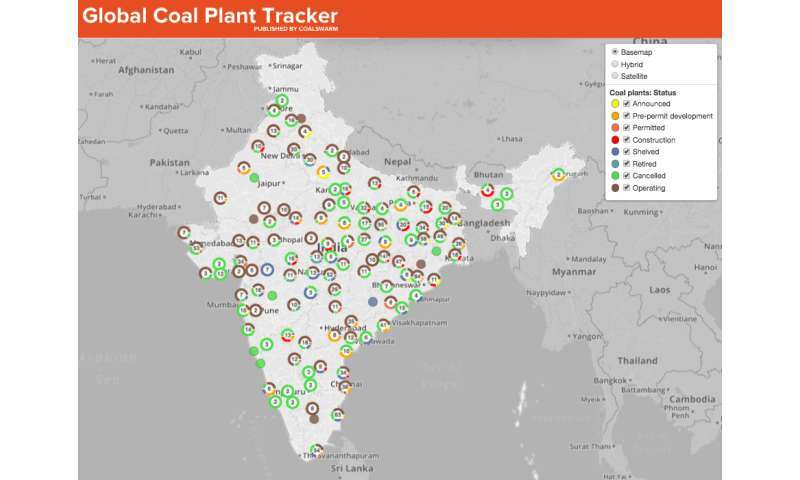 Further, India's own draft National Energy Plan, released in December 2016, states no further coal power capacity beyond that currently under construction will be needed until at least 2027—although it remains unclear what the country will do about its many proposed coal plants. "India should take a hard look at these coal proposals and avoid the mistakes of China," Shearer said. Turning the ship around will be a challenge for the world's largest democracy. Davis said one of the problems may be communication. "The people going to the international meetings to participate in climate negotiations aren't the same one that are permitting new power plants in the country," he said. "Maybe this paper will help bring that conflict out into the open."